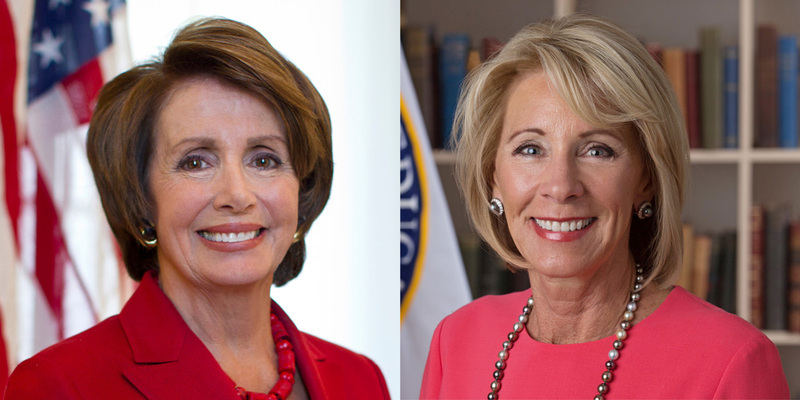 WASHINGTON—Nancy Pelosi, Speaker of the U.S. House of Representatives, and Betsy DeVos, U.S. Secretary of Education, have been confirmed as speakers for the Council for Christian Colleges & Universities’ 2019 Presidents Conference, which brings close to 100 Christian college and university presidents from across the country and around the world to Washington D.C., January 30-February 1, 2019. 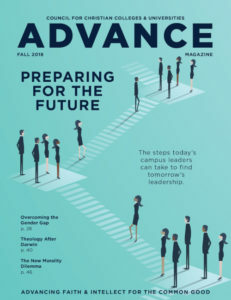 “Our annual conference brings together key leaders from Christian higher education institutions around the world to share perspectives, collaborate on solutions, and build relationships. Our goal is twofold: to address the challenges and opportunities facing Christian higher education and to equip and encourage leaders for the year ahead in light of our shared commitment to Christian mission and academic excellence,” shared CCCU President Shirley V. Hoogstra. As part of the conference, former Lost Boy of Sudan Dr. Jacob Atem, a 2008 graduate of CCCU institution Spring Arbor University and the co-founder, president, and CEO of the Southern Sudan Healthcare Organization, will receive the 2019 CCCU Young Alumni Award. Additional award recipients include U.S. Senate Chaplain Barry C. Black receiving the Mark O. Hatfield Leadership Award; Michael Galligan-Stierle, President of the Association of Catholic Colleges & Universities, and David Warren, President of the National Association of Independent Colleges & Universities, each receiving the Champion of Higher Education Award; Karen Buchwald Wright, Chairman, President & CEO of Ariel Corporation, receiving the Champion of Vision Award; and recognition of Walter & Darlene Hansen for their more than 20 years of support for faculty scholarship. MEDIA: Credentialed media interested in attending any portion of the conference must pre-register by emailing media@cccu.org. For additional information, please visit: cccu.org/2019-presidents-conference/.